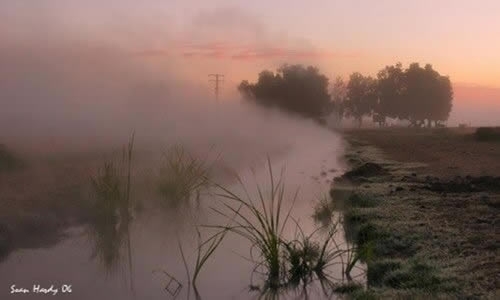 The Great Artesian Drive is a destination route of discovery embracing seven distinctive and unique Hot Artesian Spa facilities amidst the tranquil settings of North West New South Wales. 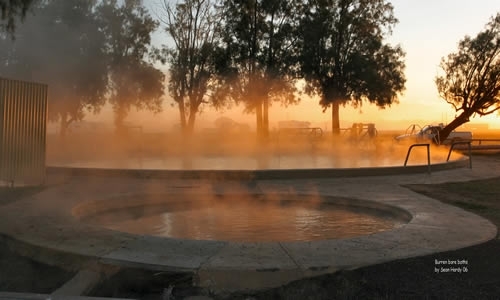 Explore The Great Artesian Drive and experience the warm and friendly country hospitality along with a multitude of attractions and therapeutic hot artesian pools which are dappled throughout the North West. The Artesian pools showcase the diversity within the region so why not savour the difference between each town, you could relax in the peaceful simplicity of the Pilliga Baths or soak up the opal skies of Lightning Ridge; perhaps a unique visit to the friendly country towns of Boomi and Mungindi and a must-see is the state-of-the art $7 million dollar Health & Wellness Centre at the Moree Artesian Aquatic Centre. Ancient in its creation, the Great Artesian Basin is one of the largest artesian freshwater basins in the world. Covering an area of over 1.7 million square kilometres the basin lies underneath approximately one-fifth of the Australian continent, extending from Cape York to Dubbo. Artesian water is underground water confined and pressurised within a porous and permeable geological formation and here in the North West the waters are generally 38°C- great to soak away those aches and pains and rejuvenate your body! 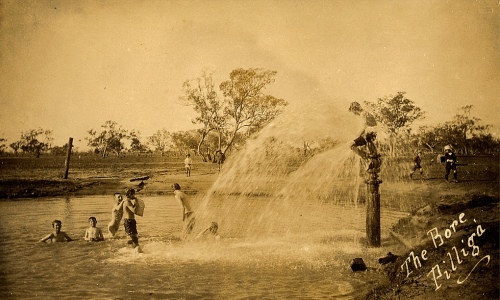 Kamilaroi Aboriginal people used the natural springs from the Great Artesian Basin as a source of water in times of drought and European settlers realised the potential of accessing flowing waters when bores were drilled into the basin, near Bourke in 1878. 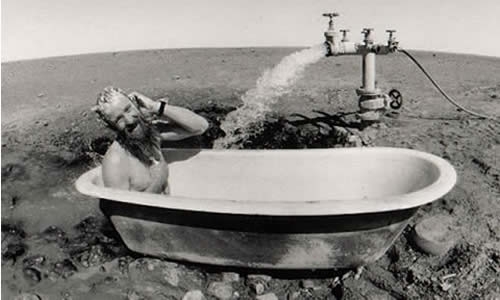 The ensuing reliable water supply paved the way for developing rural communities, a valuable stock industry and enhancing the prosperity of agricultural production within the rich black soils of the North West NSW. Immerse yourself in the flowing, hot, mineral-rich Artesian waters and seek the many reputed advantages of taking the waters: Rejuvenate and re-hydrate your skin; Assist with detoxifying your body’s lymphatic system; Replenish the body’s cells; Relax muscles and ease joint pains – renowned benefits for those with muscular and arthritic problems; Provide weightlessness and ease rheumatic complaints; Assist in the management of sciatica and nerve troubles; Provide analgesic and sedative effects – great for those who have trouble sleeping; and provide relief of symptoms of psoriasis, eczema and other common skin complaints. Need any more reasons to journey our way? Travel the Great Artesian Drive and be pleasantly surprised as you discover the jewelled havens of the North West!